Hi! I’m Randy Cunningham (my friends call me “Duck” :-). O.K., my real name’s Randall Harold Cunningham, but only my mother called me that. 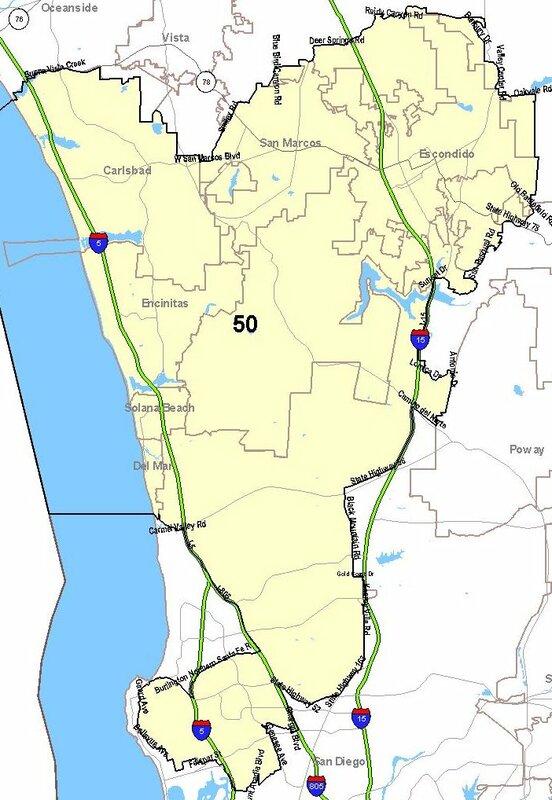 I’m a politician representing the 50th Congressional District for California [map] (That’s North San Diego County: Del Mar through Carlsbad, San Marcos, Escondido, Rancho Bernardo, Mira Mesa, Miramar, Claremont, southern La Jolla, and Padific Beach). Click on my face to hear a speech of mine on the House floor [ MP3; also OGG, MS WAV, Real Audio, AU, M3U, or audio]. This is my unauthorized, unofficial web page where I can tell you what I really think :-), unlike my official and campaign websites. You won’t find an e-mail address here, there, or anywhere though. Why? because my e-mail address is secret. And because of Anthrax danger, you can’t send me regular postal mail. In 2003, I voted for the “Can Spam Act," which legalizes spam and invalidates California’s tough anti-spam law before it could go into effect. The spammer lobbyists told me to vote for it, so I had to. I don’t care—they can’t spam me as my email address is secret! I don’t really care if I hear from you anyway. Why should I care about what you think? Why should you tell me how *I* should do my job? I don’t tell *you* how to do yours do I? I thought so. Just trust me, OK? Still, wanna let me know what-a-ya think? Well, like they say on the back of trucks, just call 1-800-EAT-S***. I don’t care what you think, but I know you’d like to hear me, so I gathered some of my favorite thoughts here. Oh—I almost forgot. While you’re in the neighborhood, visit a website about my colleague, Brian Bilbray, who is keeping my seat in Congress warm while i'm in prison. Or visit his opponent's website, Nick Leibham (picknick08.com). This page is not affiliated with Duke Cunningham, nor any other political group, but I hope you enjoy it. About this website. If you have comments (hate mail, praise, jokes, corrections, constructive criticism, or destructive criticism), please send me (Dan Anderson) a secure private message. You can read other people’s comments here.